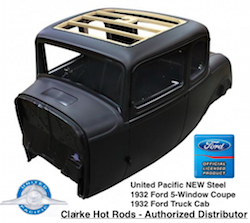 It seems like lately the hot rod hobby is being inundated with all these “period correct” rules and regulations, and our shop is no different. 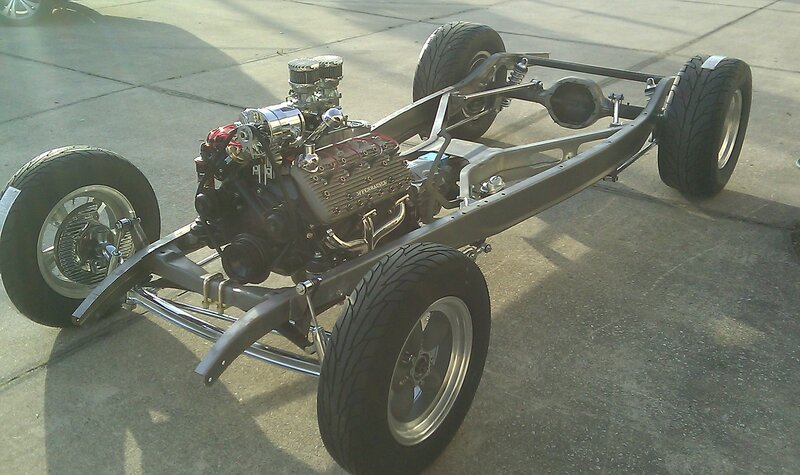 We get so caught up in building cars that represent and “era” or even a specific year “1948”, that we lose sight of what is really important: build a hot rod that is fast, basic, dependable, and drivable. 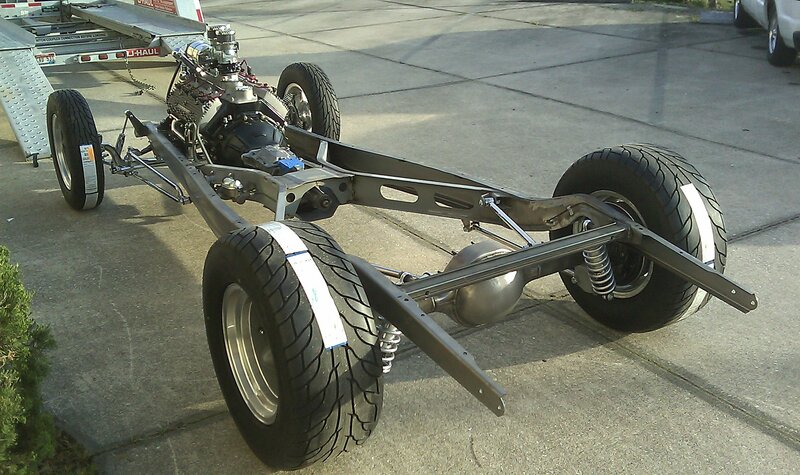 We used to have a saying around here that we build cars you drive 80 in the left lane….and this is one of those cars. 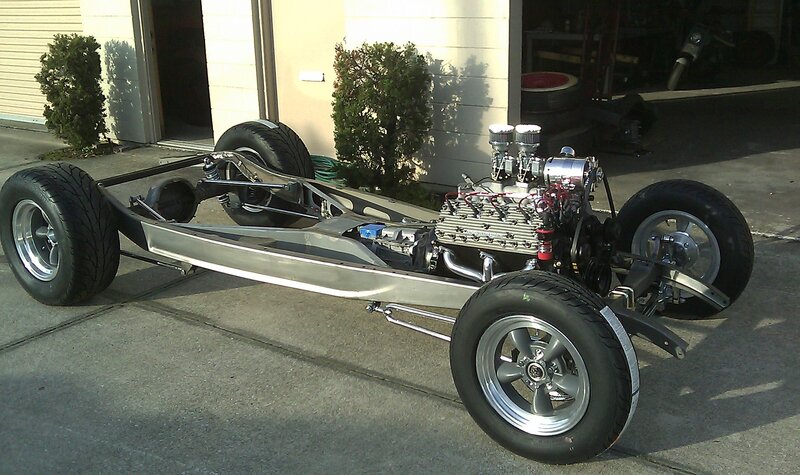 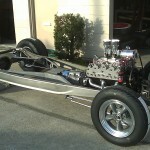 We were asked to build this chassis for Bobby Lynch with a pretty simple request and a long leash – Bobby wanted a nice tight car, with a killer stance, big ‘n littles, stick axles front and rear, chrome and polish everything, a big-inch flatmotor, and 3 pedals. 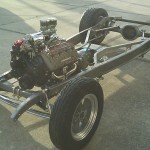 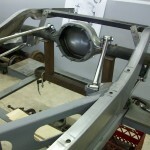 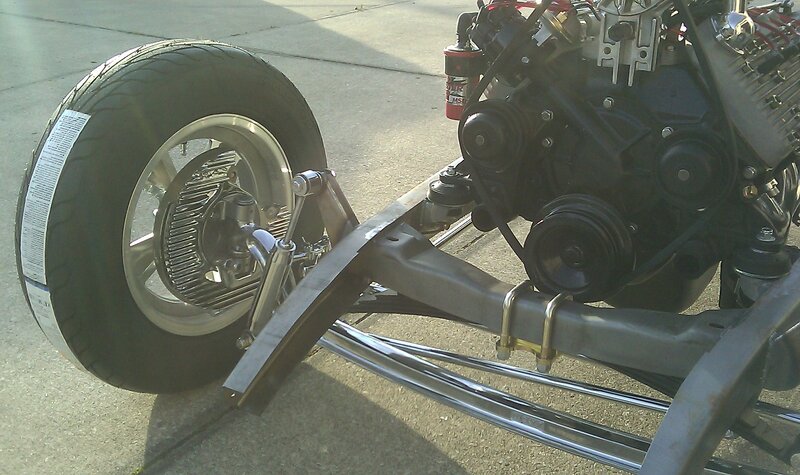 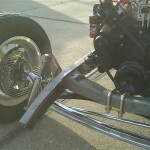 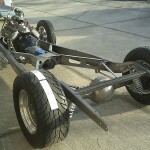 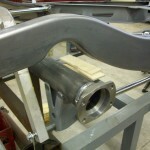 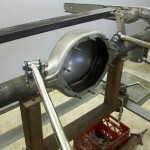 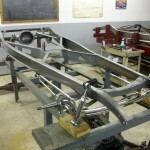 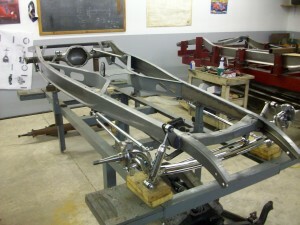 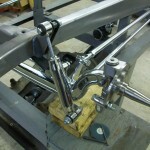 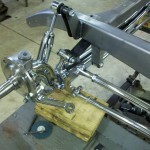 Here is the start of that – our standard 106″ chassis, chrome I-beam, chrome ‘pins, 9″ on four bars….more to follow….